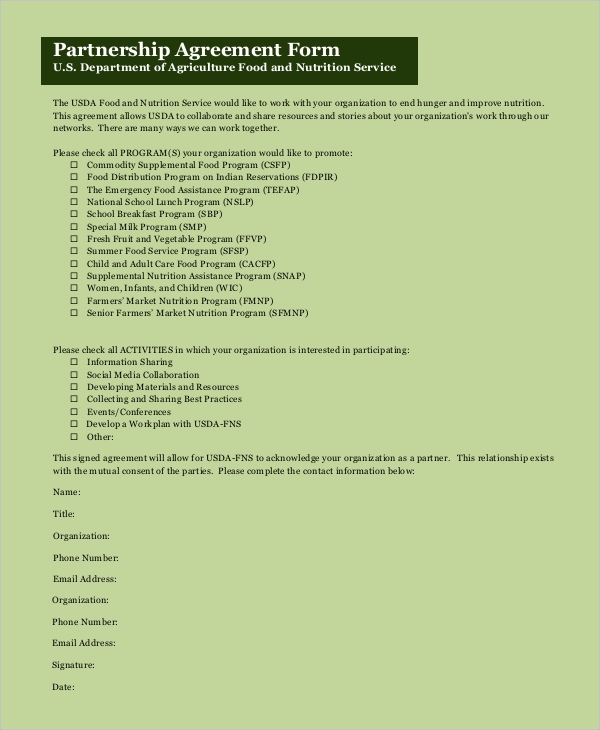 To run a profit making or non-profit making organization in partnership, you need to consider finding the best partnership Agreement Samples. Running a business in partnership is a common thing. However, several problems are there too. You have to understand the drawbacks or limitations of the business in partnership. You also need to understand its benefits. Based on their analysis, both partners may come to some terms and conditions. Perfectly crafted agreement should include those terms. 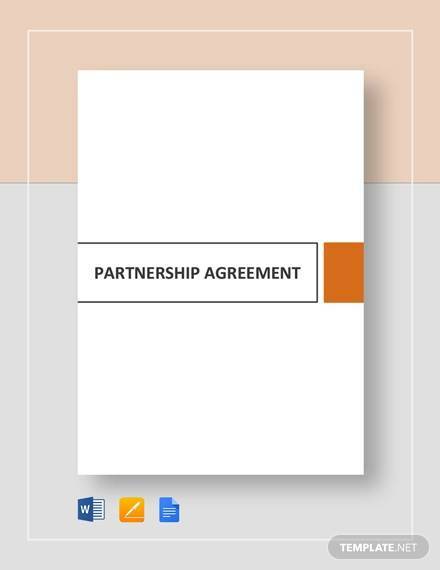 Creating a business partnership agreement can be a tiresome task as you need to include a lot of things in the professional agreement. 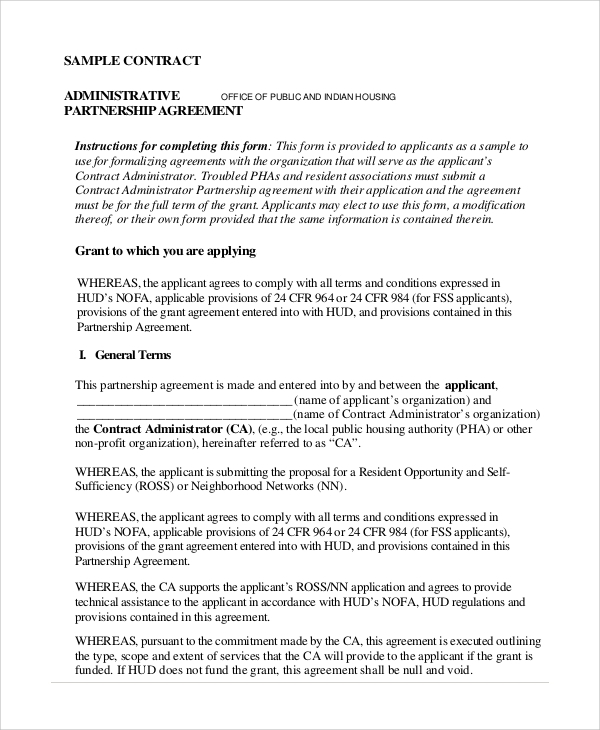 To make this process simpler, you can use the business partnership agreement samples. 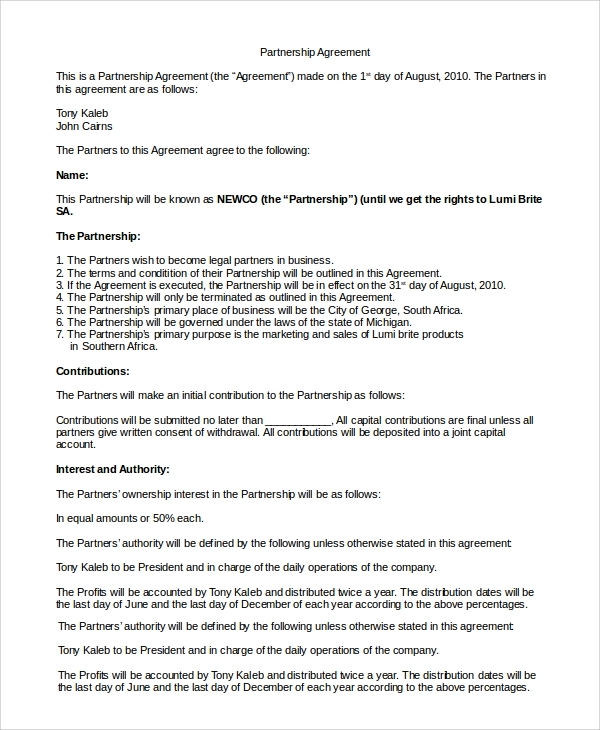 This is a sample of a limited partnership agreement. 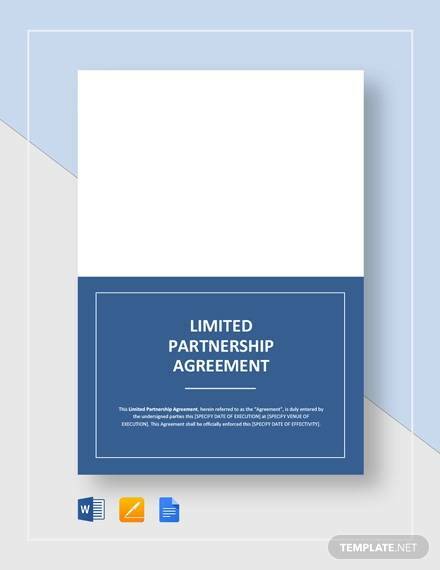 If you want to start a business with a partner, this sample can be used for creating a partnership agreement. Using this sample will make the job hassle free. 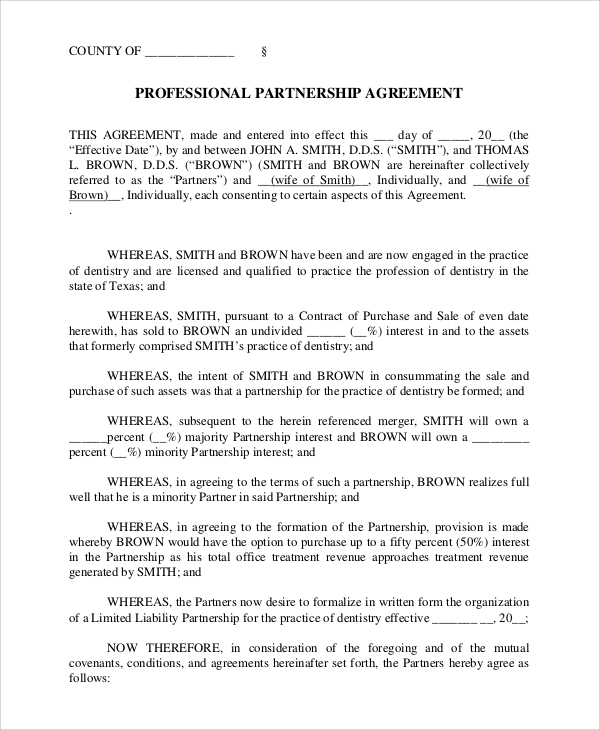 Since partnership agreement is a legal document, it must come with a proper format and perfect tone of writing. 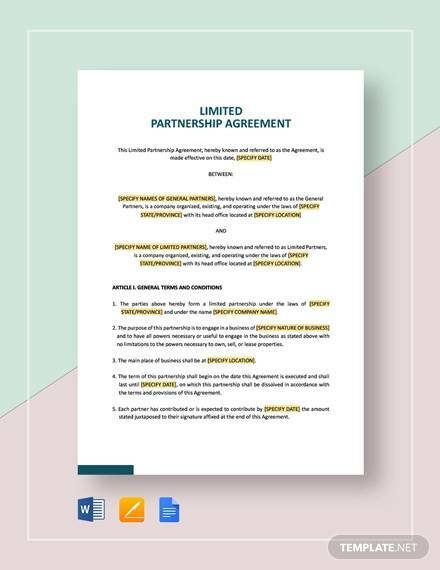 To get a general idea of creating partnership agreements, this sample can be used. 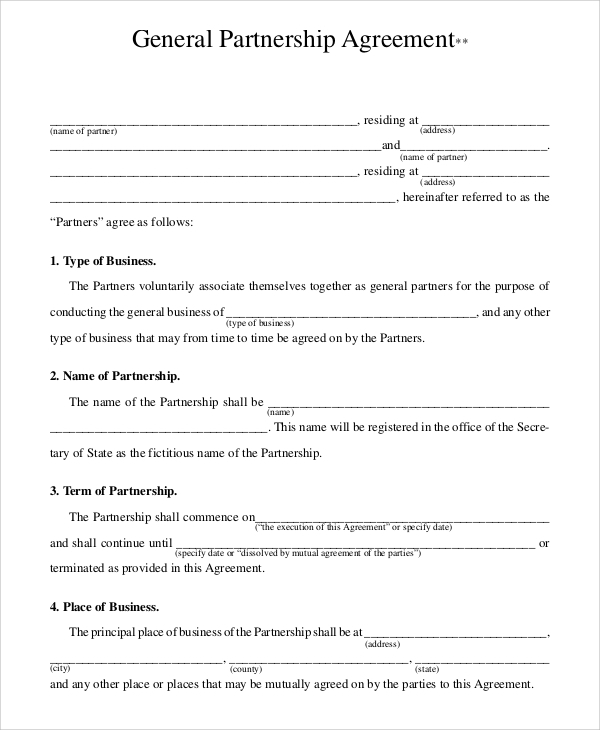 Partnership agreement form has to be filled out by both the business partners so that a perfect business partnership agreement can be drafted. 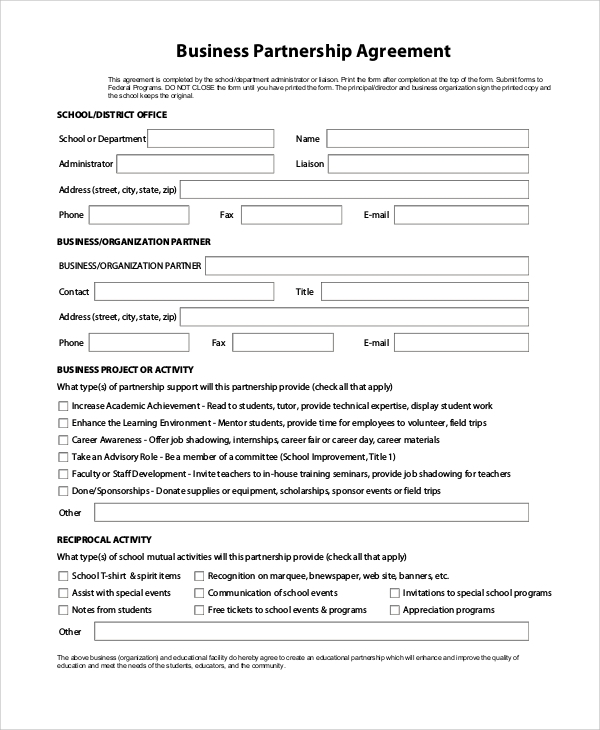 Use this sample form for that purpose. 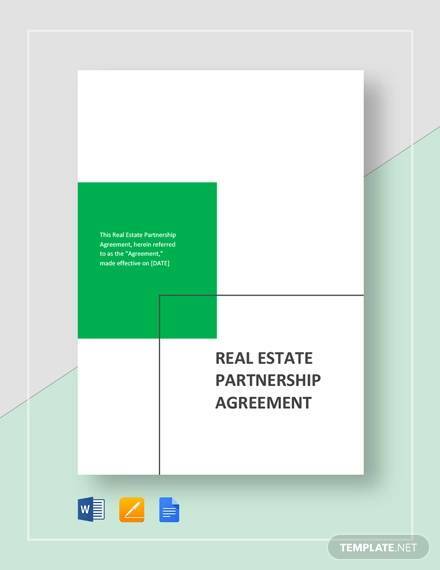 Creating a partnership agreement is easy as well as simple. 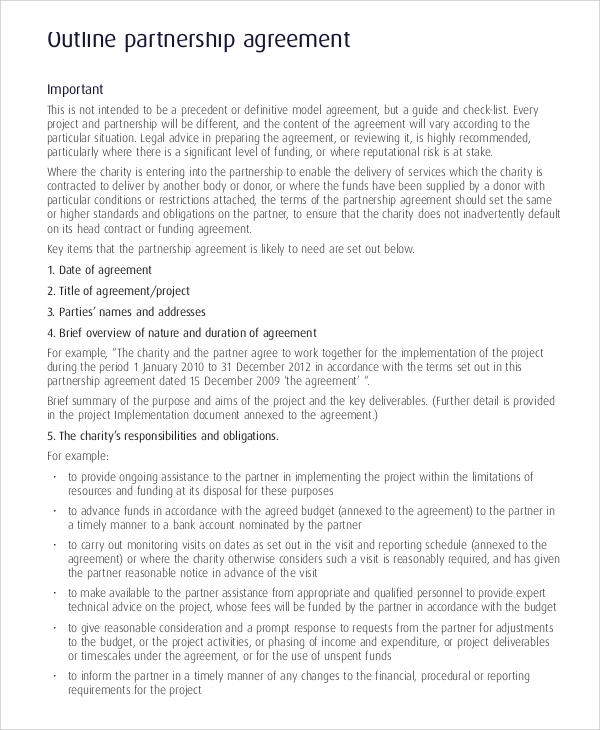 For making your partnership agreement useful as well as effectual, this sample agreement document can be used. Download it and print it for your purposes. Not just a known person, even business in partnership can be initiated with lesser known or unknown persons. In any case, you need to create an agreement to protect your rights, as well as your partner’s rights. Some people have ideas, while some people have money. For combining these two things, a business partnership can be started. 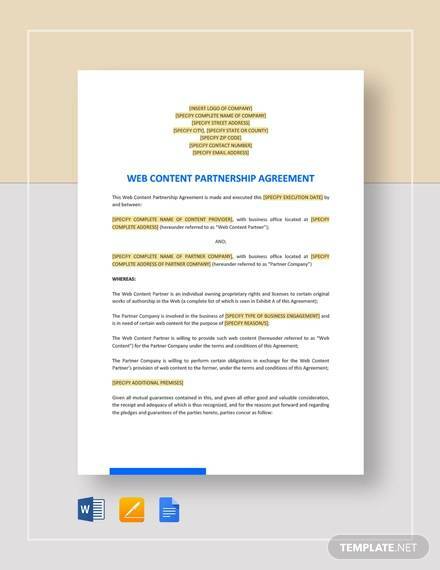 Who Should Use The Online Business Partnership Agreement Samples? Using these online agreement samples can make your job entirely easy. 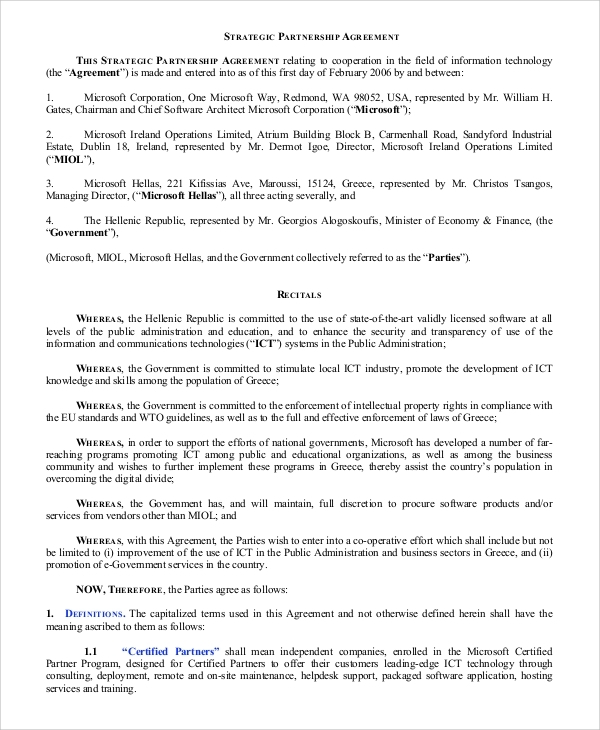 It will help to create business partnership agreements with precision. Moreover, it contributes to following the perfect legal format that an agreement should have. 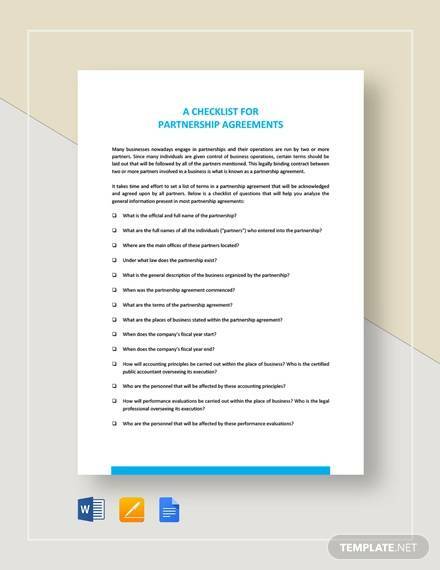 All you need is finding some online samples and downloading them to craft your partnership agreement. Legal advisors can also use these samples for their clients. Creating a partnership business agreement is always a critical task. 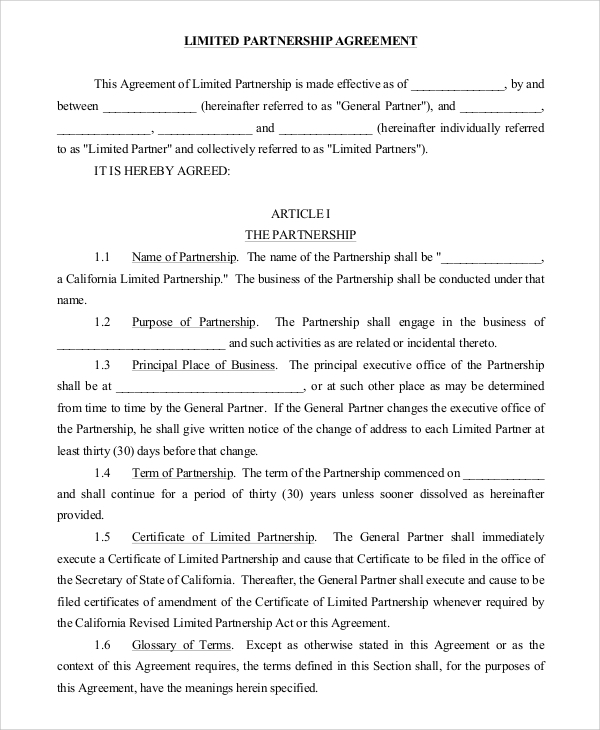 Partnership agreement must include a lot of crucial things. From the terms and conditions of partners to various important details of a business or profitability sharing conditions, everything should be mentioned with precision in such agreements. 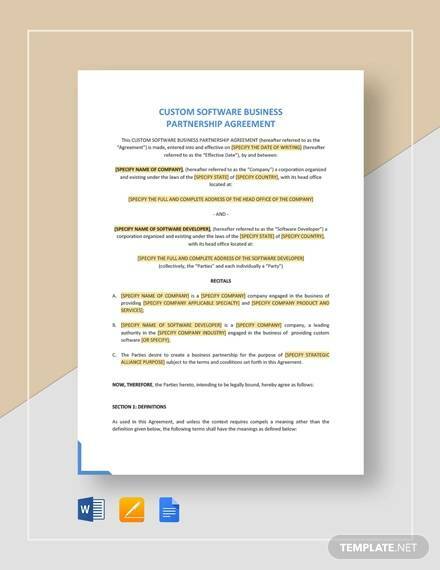 Create partnership agreements with the help of these online samples.